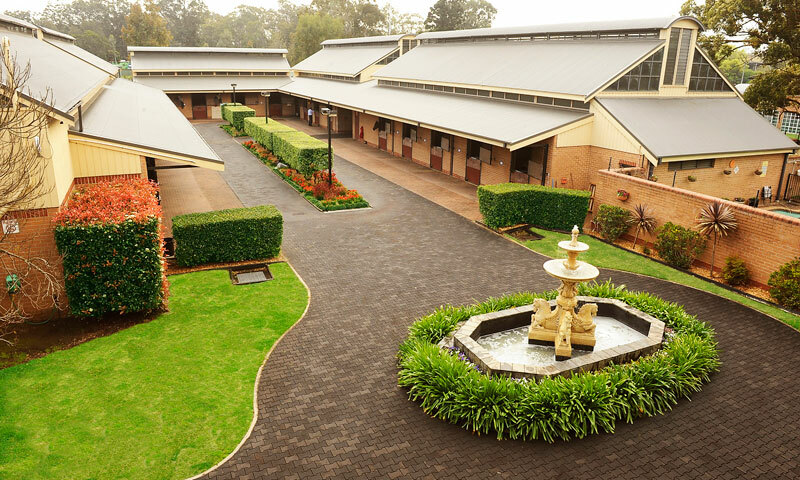 Crown Lodge, the largest of Godolphin's three stables in Australia, was established in 1985 and is situated opposite Warwick Farm Racecourse in south west Sydney. It was Sheikh Mohammed’s first training yard in Australia. Crown Lodge is home to some of the finest training facilities in Australia, with 125 boxes, 16 semi-open yards, a heated saltwater swimming pool and horse walkers. Godolphin horses based here are trained on the synthetic Pro-Ride and turf courses of Warwick Farm Racecourse.